12:00 pm EST: Take a look at my IWM Weekly Chart from July 2nd, 2014 and the now the IWM chart today, March 29th, 2017. 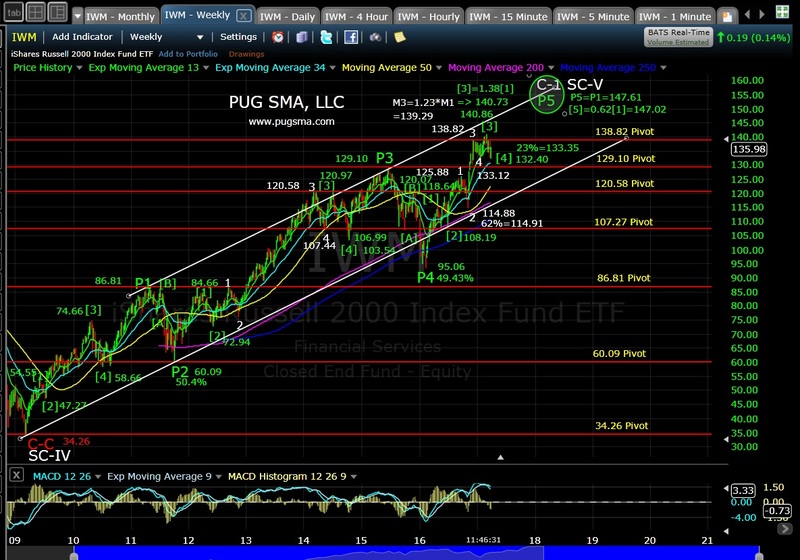 Notice that the big picture wave count on IWM has played out nearly perfectly. One warning sign in the IWM weekly chart indicating that Primary 5 (P5) of Cycle 1 (C1) top maybe close at hand is that the large Inverse Head and Shoulders (IHS) has reached the measured move target of 139.36. This entry was posted on March 29, 2017 at 11:50 am	and is filed under Add-On Service, IWM. 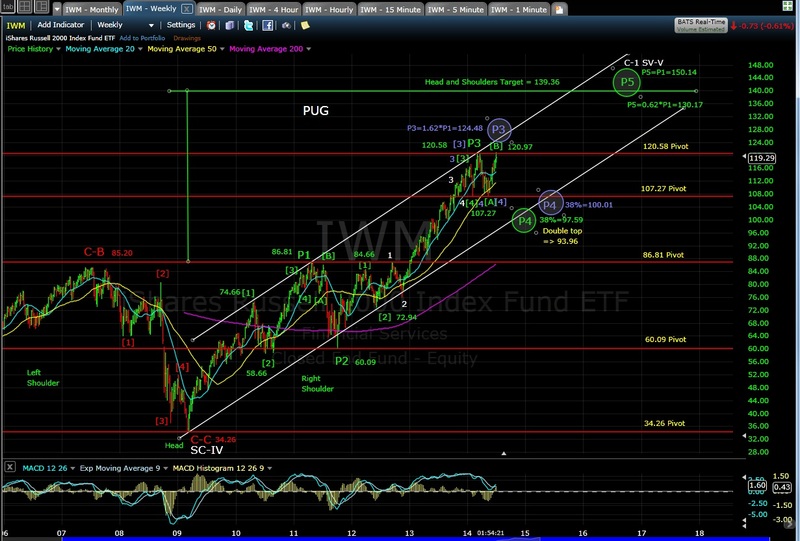 Tagged: Elliott Wave Technical Analysis, IWM Technical Analysis. You can follow any responses to this entry through the RSS 2.0 feed. Responses are currently closed, but you can trackback from your own site.